Defeat to Manchester United in the final game of 2004/05 sent Harry Redknapp’s ‘Saints’ spiralling into the Championship. Seven seasons later their return is imminent having experienced administration, numerous managerial changes and a ten point deduction. Dovetail this with their subsequent relegation to the third tier, the death of their owner and life hasn’t always been as glorious as it must seem now for Matt Le Tissier’s only club. Life hasn’t always been about league titles for Sir Alex’s multi-millionaires either. 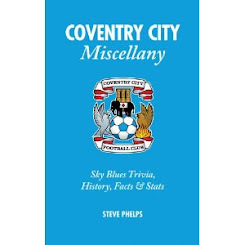 Season 1988/89 saw John Sillett’s City side complete the league double over Manchester United and finish in seventh place. The men from Old Trafford finished in 11th, four points behind City with no hint of the success to follow. 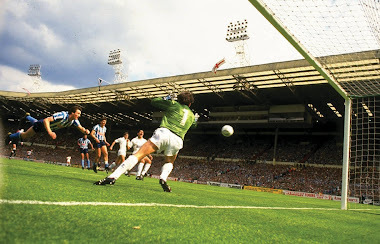 Life hasn’t always been a struggle for our beloved Sky Blues, we’ve more than held our own against the best in the land and witnessed some great days and nights at Highfield Road. 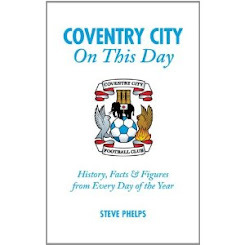 December 1988 brought the ‘Red Devils’ to sixth placed Coventry four games prior to the Sutton United debacle. In the match day programme Trevor Peake revealed how after a treatment room visit Michael Gynn took Brian Kilcline’s trousers to the laundry ladies, unbeknown to ‘Killer’ who was still sat on the physio couch. Gynn then went home and left the cup winning captain sat there fuming waiting for the wash to finish. 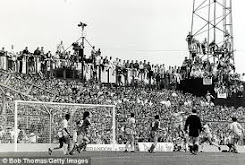 Five years prior, Terry Gibson’s hat-trick sank Liverpool 4-0 in front of 20,586 fans while ‘Coventry City Clubcall’ advertised its services with no call charges listed. It certainly wasn’t free as those of us who dialled it will testify. Granada Bingo ‘Hummel’ shirts were on sale for £12.99 in the club shop and you could purchase video recordings of City matches for the same price in either VHS or Betamax format. 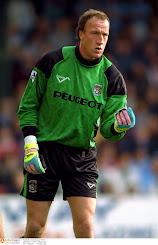 United’s side comprised Mark Hughes, Brian McClair, Bryan Robson and Steve Bruce while seven of the FA Cup winning line-up took to the field for City. A closely fought contest was decided by a piece of magic from then record signing David Speedie whose clever turn deceived Mal Donaghy and his cross was powered past Jim Leighton by Big Cyrille (see clip and forward to 8:55 minutes). 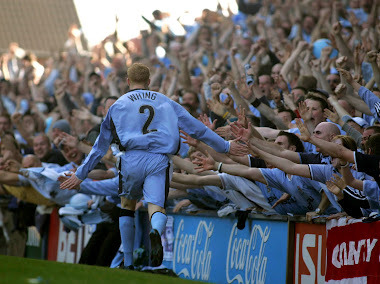 Unable to get to Villa Park in 2001 this was my first, and hopefully last, ‘live’ relegation. There was a disbelieving silence amongst the crowd, stood there quite simply unable to digest what had just become final and how lame the performance was against Doncaster. Eventually the playing squad resurfaced for the ‘lap of appreciation’ to more applause than they deserved. 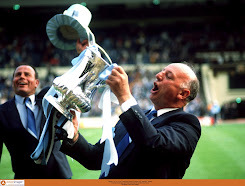 Compare this with the half-time response to George and John’s 1987 FA Cup winners and Mick Coop’s Youth Cup winners. When Forest were relegated in Brian Clough’s final season of 1993 he was asked why they had gone down by Martin Tyler. His response ‘because we’re not good enough’ can certainly be applied to our demise, not just this season but over the past 11 years. What Mr Clough did not have was a Bryan Richardson figure creating huge debt in search of glory and a SISU Capital taking on the losses, changing their game plan two years into their tenure and then stripping our magnificent club of its assets and dignity. I wonder if Mr Richardson was watching Sky Sports News on Saturday evening and saw the ‘R’ appear next to our name in the league table. I doubt whether SISU did either.